Taking Back Up Offers. 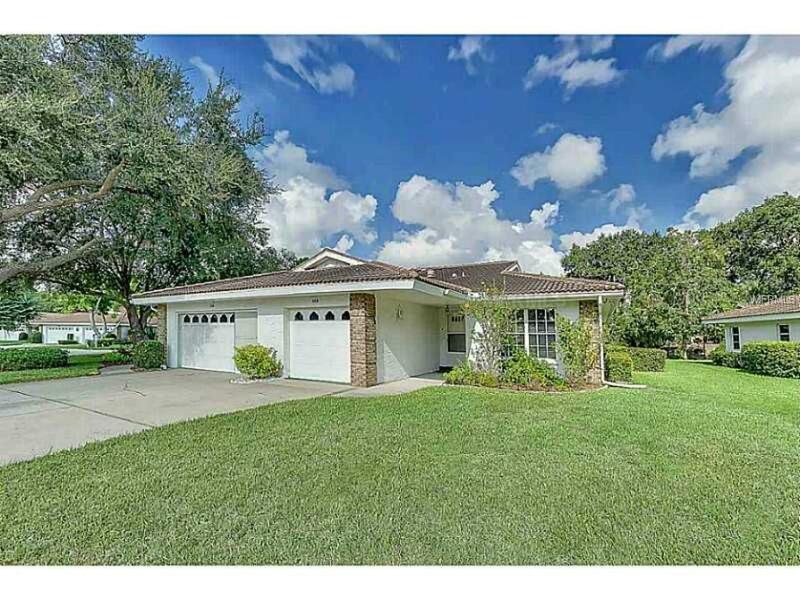 A well maintained paired villa in a 55+, gated community! Light and bright throughout, with clean ceramic tile and plush neutral carpet. Enclosed, air-conditioned lanai creates 1452 sq ft total living area. Concrete patio with southern exposure for enjoying the Florida sun. Inside, three added skylights provide ample natural lighting, even on a cloudy day. Washer and dryer conveniently located in the kitchen. AC was new in 2012. Garden Lakes is a gem of a community with low component fees and no CDD fee! The Association pays for your basic cable, trash and recycling pickup, and pressure washing and painting of the outside every 7 years! There is so much to do right here in the community with clubhouse activities daily, heated pool, tennis, shuffleboard, and even a fitness center. Located just 4 miles from I75, and near all newer shopping, restaurants, YMCA, library, and medical facilities. Close to Publix, WalMart, and the U.S. Post office. Furniture package available. Additional Lease Restrictions Four Month Minimum Lease. No More Than One Time Per Year.